Theresa's Mixed Nuts: Pomegranate & Cranberry Vodka Sparklers Will Light Up Your 4th of July! 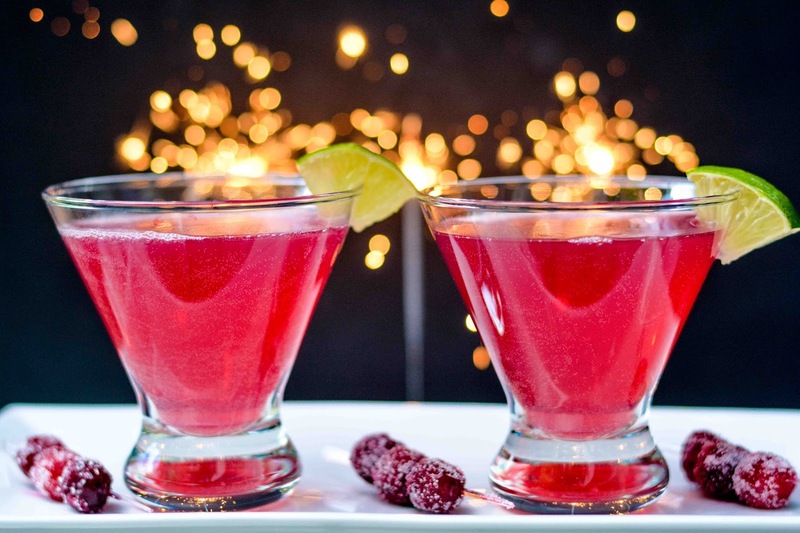 Pomegranate & Cranberry Vodka Sparklers Will Light Up Your 4th of July! Can someone please tell summer to slow down a little bit? I can't believe that 4th of July is less than a week away! Since the 4th will be falling on a work night this year, we don't have major plans for the actual holiday. Maybe a little cookout with a few friends and a trip downtown to watch the city firework display if it doesn't start too late. You know you're getting old when you start to worry how late the festivities are going to run. To make up for it, my sister is hosting a little family BBQ at her place this weekend and after all of the party planning I've had to do this summer already, I am really looking forward to kicking back and enjoying a party that I don't have to plan, execute, or clean up after. Now, I'm not a total freeloader of a guest. I'll still bake a batch of cookies and I plan to bring some ingredients to whip up a few cocktails. I mean, even though I'm worried about early bedtimes in my old age, I still think an adult party should have a few adult beverages, right? I thought this Pomegranate & Cranberry Vodka Sparklers recipes would be a fitting choice because what's a 4th of July celebration without sparklers? The kids can have run around the yard with their sparklers while mom and dad will have a good time enjoying these sparklers on the deck. 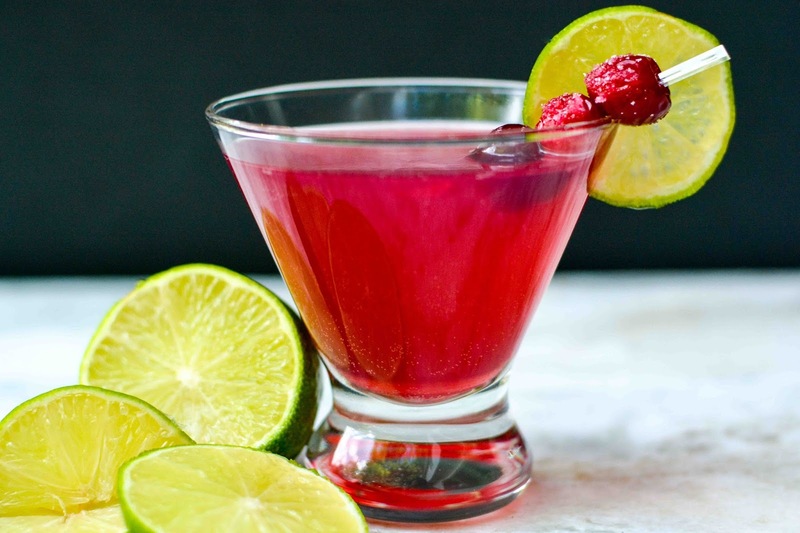 Whip up a pitcher of this fruity tasting goodness and let the festivities begin! What are your 4th of July plans this year? It looks good. I can't have it, but I wish I could. Hope you are feeling better and your nose is healing well today! looks refreshing! Would look good with bloodorange slices too! My raspberries are officially dead :( at least for this year, I don't know what I'll be putting in me ice tea all summer, hug me please! I'm sorry to hear that Dezzy! Big hugs coming right up. Maybe blend up some peaches or blueberries for your tea? Lemon maybe? Hopefully your neighbors won't be too loud all night with their fireworks so you can get some rest! You've got a knack for making things pretty. :) Happy 4th of July to you!! Thank You Rosey ♥ Happy 4th to you and your family too! Adult drinks work for adult time haha summer sure is flying on by. Hopefully a Happy 4th is had at your pad. That looks so good! I love a cocktail with a bit of a sweetness to it. I can't wait to try this. That sounds super freaking awesome. I love pomegranate, especially in a cocktail. It just lends itself so well to those. I have not had vodka in a long time but this looks so appealing. I will have to give it a try for 4th of July, why not?! These sound good for those who drink. We don't drink but I have friends that would enjoy it. This sounds like a great drink for Fourth of July. It's the perfect color and sounds like it would be tasty at cookouts. This is definitely a good idea. I'd love to sip on one of these while hanging out on July 4th! I am definitely adding this to our fourth of July festivities! This sounds so refreshing and delicious! I would love to have one of these. Wow! That looks positively delicious! Ohhh, these are for mommy and daddy after the kids head to bed! It sounds refreshing! Cranberry is one of my favorite flavors to mix with vodka. These look delicious! A perfect drink on this perfect occasion. There are so many different recipes including honey. We always have some on hand, which makes it easy to add some sweet flavor to our favorites. I will be mixing some drinks for our get together on the 4th. I'll make sure to include this promegranate cranberry vodka sparkler. This would be a refreshing and most welcome drink anytime of the year. I love the bright red color. So appealing! And the ingredients are not hard to find. I'm mixing one for myself today.